Dark City: Munich Collector's Edition is rated 4.4 out of 5 by 24. Rated 5 out of 5 by greenshade from A FUNTASTIC Game!!! Waited for a good sale so I could purchase this game and believe me it was worth the wait! Other developers take note! Not everyone loves puzzles after puzzles but a lot of us love a good original story line, FUN mix of creative HOs, and good balance between easy/hard puzzles. If you are like me then you will appreciate the effort to provide all of the above in this second Dark City game (which was superb) by this amazing developer. Rated 5 out of 5 by Poodlekins from What a fantastic series Having bought both Dark City games I am absolutely hooked. Excellent storylines and good graphics. I don't play with music so cannot comment on that. 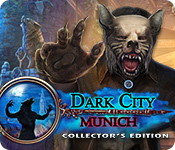 I am now going to play the bonus section of Dark City Munich, hope it's as good as the main game. Keep this series coming, it will be interesting to find out where the next city will be. 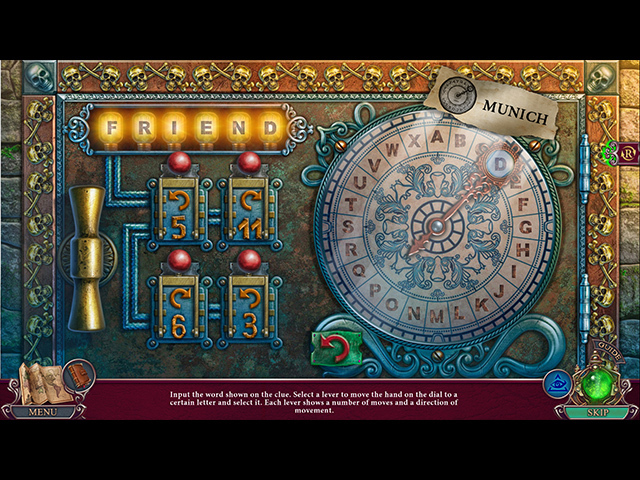 Rated 5 out of 5 by judithmadams from One of the Best Hidden Object Games I've Played More and more I'm finding the best games are produced by 4 Friends Games, and Dark City: Munich is no exception. I don't have one, single criticism. 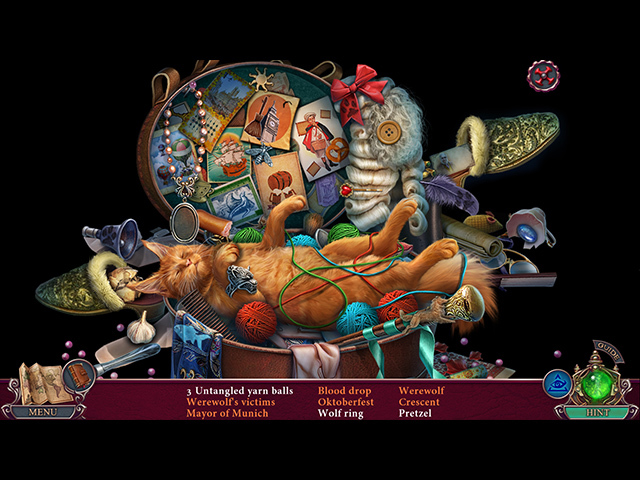 I like the concept, the music, finding all of the objects; and, most of all, the mini-games were all super fun. I have bought, and own, hundreds of Big Fish Hidden Object games; and I am very happy I added this one to my collection. I will play it again. Rated 5 out of 5 by blkqun2006 from Dark City: Munich Collector's Edition Best game ever they should have more like that, played demo for first time bought it right away, I read books about shape shifter's, I hope to see more like that. Rated 5 out of 5 by gyanda from My consolation If i could, i would rate this game with 10 stars. It feels as if like in months finally one really fantastic game came along. The storyline - i admire the writer for his ideas! The graphics, the music - everything is just perfect! I wished, we would see more games from this developer, they really know how to make people happy while playing! Rated 5 out of 5 by ecatlin98 from DARK CITY - ANOTHER WINNER This is an excellent game packed full of everything you could ask for !!! Dark City is my favorite game series and I can't wait till their next game. The writers always write a story line that is so intriguing and interesting that it's hard to stop playing; I always end up playing their games straight through and never wanting them to end. I've bought and played almost 200 games from Big Fish in the last few years but none has ever been as good as the Dark City games !!!! Rated 5 out of 5 by timothya from Where Wolf? There Wolf! Beautiful game set in a beautiful city. This is a classic detective game with a Holmsean male POV and a very deliberate pacing that may prove frustrating to some who, let's face it, just want to get on with it without reviewing clues. The flip side of that is that it does help the player keep track of the plot, especially if the game is played with broken continuity over several days. Pros: beautiful art, really excellent voice acting, plenty of game play, and a rather intricate plot involving Were creatures of several different species, one of whom The Detective finds himself very familiar with. 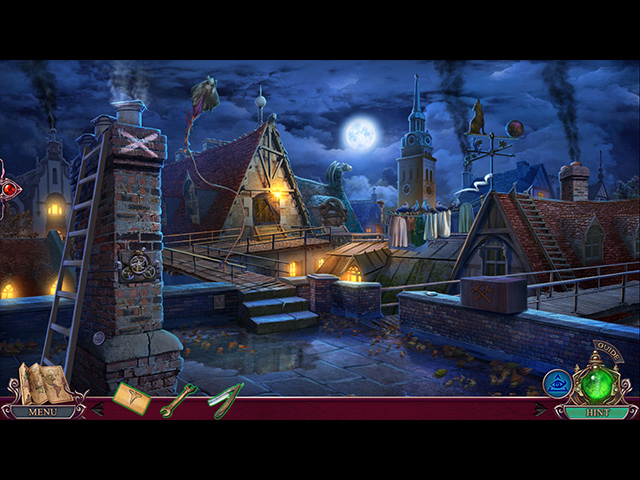 Bonus game is a fractured fairytale that fits the main game better than one might expect. Cons: plot occasionally edges into the preachy, with undeserved prejudice being the theme; recall that the real trope of the Werewolf is not fear of the Other but a perfectly justified fear that he'll eat you. That said, it's a light touch and not overdone. I found some game mechanics issues in the bonus game but the main game seemed very well-tested. Overall, a nice return to detection for those who have become tired of demons and magical princesses. Rated 5 out of 5 by shripch from I LOVE THIS SERIES! Fantastic voice overs, especially the detective. Sounds like a Sherlock Holmes type of guy, intelligent and grounded in science. I am a fan! This series has all the bells and whistles. Great stories, "just right" dark environment, morphs, collectibles, etc. Thank you developers, and I'm looking forward to the next installment.